General Imaging (GIC), exclusive licensee of GE branded digital cameras, today announced that the countdown is on to win one of only four exclusive autographed ‘Create by Jason Wu,’ digital cameras styled by the iconic fashion designer! 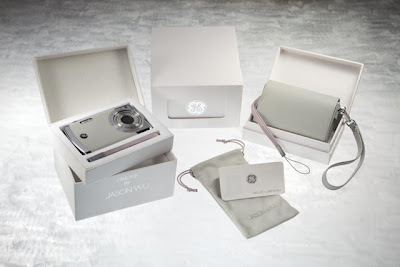 Beginning today, visit www.general-imaging.com/us/jasonwucameras and sign-up to be one of the first to get a glimpse of this new collection of unique GE digital cameras styled by Jason Wu. You will be automatically entered to win one of four autographed ‘Create by Jason Wu’ digital cameras and included on our exclusive VIP list to learn more about this revolutionary camera that is already generating widespread media & industry buzz. Create is an exclusive line of digital cameras resulting from the unique collaboration between General Imaging, the company behind GE branded digital cameras, and Jason Wu, the 27-year-old designer who has claimed the international fashion spotlight, dressing celebrities like Drew Barrymore, Diane Kruger and Natalie Portman. Create seamlessly blends Jason Wu’s rich sense of style with the latest digital camera technology. The camera features simple, one‐touch operation to record videos, take pictures and easily delete photos. Winners will be sent a personally signed, leather ‘Create by Jason Wu’ digital camera and Create designer accessories including: gray leather camera case and elegant fabric wrist strap with Jason Wu metal accent. The cameras will be available April 2010 for an SRP of $179.99. One winner will be announced each Friday beginning March 26, 2010 through April 16, 2010. More details can be found online at: www.general-imaging.com/us/jasonwucameras. 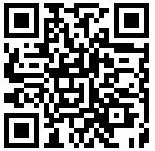 About General Imaging Based in Torrance, Calif., General Imaging is the worldwide exclusive licensee for GE branded cameras. Unveiling its first cameras in March 2007, General Imaging has set a new precedent for high-quality, feature-rich cameras that offer excellent value. For more information about the entire line of GE brand digital cameras or to browse the online store, please visit www.ge.com/digitalcameras. Thanks for letting me know. I signed up and can';t wait to see the camera.